Hello to all music students and welcome to the first TCS Music school news letter. TCS will be sending this letter out every month. 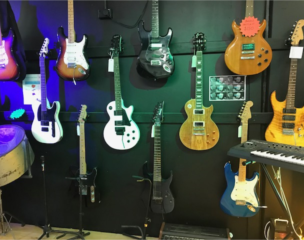 This letter can connect all music students to the latest local music news, master classes, in-store clinics, student achievements, gigs, music store SALES,TCS events and festivals. Basically if it’s loud and people are having fun, you’ll read about it here. A big WELCOME to our new students and future rockstars. Griffin Bull - Murray Burnett - Nate Earnshaw - Leo Gus - Mitch Hawkins - Phoenix Holler - Ned Rogers - Elsie Wilkinson - Coby Williams - Arturo Molinari. Murwillumbah's own teen spirits 'BEATROOT'. 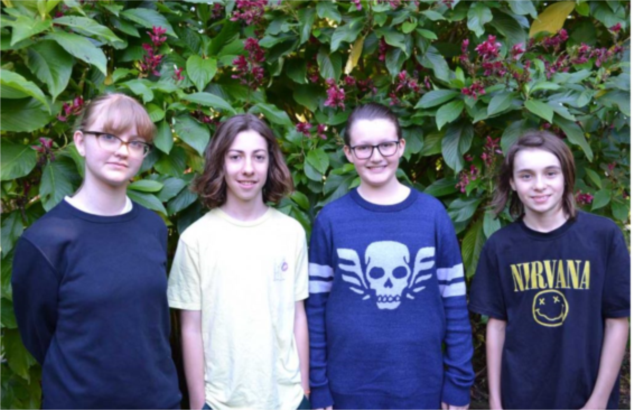 TCS: There's been some recent talk in the local music scene, rumours about a young guitar player named Finn who sings the blues and plays slide guitar. So TCS contacted Finn and He tells us he's in a band and that the band likes to play some serious ROCK 'n' ROLL. Here is an interview we managed to get from the band. TCS: How did you come up with the band name? Originally Mitchell and Finn were making jokes and randomly listing vegetables. Then Finn said Beetroot. Mitchell said, beetroot, beetroot, OH BEAT-ROOT as in beat of the drum! We all thought that was a great name and decided to stick with it. TCS: How long has each person been playing with their instrument for, and how did the band form? Mitchell (guitar) and Noah (drums) have been playing for around 4 years, and Finn (guitar) for around 2 years, and Jazmin (Bass) for 4 months. We formed because of our love of music. The band formed as a request to do a performance for our principal who had left our school. We planned some rehearsals and learnt the song “Learn To Fly” by The Foo Fighters, after which we decided to form a band. TCS: Where do you rehearse, and describe a typical rehearsal?" We rehearse in the school hall and also sometimes the music room. One example of a practice is us playing the song we’re going to practice and working our fingers to the bone getting it perfect. And then playing a song we previously performed, just for fun. Jazmin’s main influences are The Beatles, Nirvana, Michael Jackson and Jazmin’s dad (Simon Meola). Finn listens to The Rolling Stones, James.T, Elmore James, Howlin’ Wolf, Stevie Ray Vaughan, Joe Bonamassa, and Finn’s Mum and Pa (Grandfather). Mitch likes The Foo Fighters, Portugal, The man, Foster the people. Noah smashes to Audioslave, Nirvana, Foster the people and The Foo Fighters. TCS: Why do you play music? 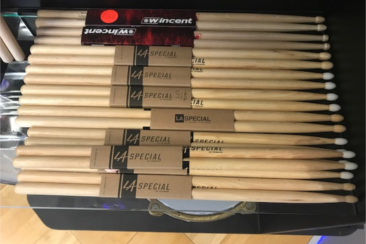 What do you get from performing in a band? We play music because it’s a really fun hobby to get into and we each have appreciated music ever since we were very little. Performing in a band is an amazing experience and we’ve made new friends along the way. We also play music to get away from life and take a break. We all like playing with other people, because a) it is fun to show each other our ideas and what we are each doing in the songs and b) when you're listening to the music that your band is making and you realise you're playing in the band making the sounds… it's an awesome feeling. TCS : What are your future plans for music and the band? We’d love to do music as a career when we are older. If the band can stay together for another few years, we can see us going great places! We would always like to play music all of our lives, whether that be like a full-time job or just doing a few gigs here and there. We would like the band to go for a few more years so we can explore more things to do and more places to perform. TCS: What is your least favourite genre of music? We are not into country music of any type. We absolutely despise all new pop music, e.g. Katy Perry, Taylor Swift, Justin Bieber, One Direction just to name a few. TCS: Have you had many live shows yet? Describe what happened? Talk about your favourite moments… Jazmin: We have had a few live shows. Our largest so far was our school committee. Mitchell was worried he hadn’t practised enough, Finn was in a panic because he had forgotten to unlock his guitar case, and we were all so nervous, but in the end we did awesome and received non - stop compliments. We were all so proud of ourselves and each other, but our parents were especially proud of us all. 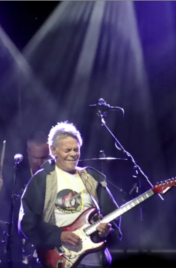 Following the tragic news of Australian guitar icon Phil Emmanuel's passing in May, plenty of fellow musicians, family and friends shared tribute to the rock ‘n’ roll legend on social media and music hubs locally, nationwide and internationally. Among them being Tommy Emmanuel, who considers Phil Emmanuel to be a huge influence on his own music. 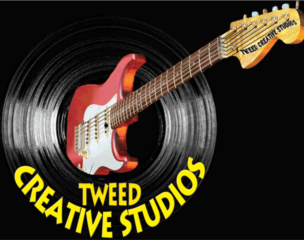 The entire team at Tweed Creative Studios are deeply saddened to hear of the passing of our friend Phil Emmanuel. He was a true icon of rock ‘n’ roll and a massive influence to us all. Phil was not only a brilliant guitarist and performer, but most importantly, he was a master craftsman on his instrument and a genuine human being. We want to thank Phil for all the inspirational music he performed for us. Phil recently blew the roof tops off at our charity show fundraiser in the Condong Bowling club on March the 31st this year (All profits went to the tweed district rescue squad). We also received news that Phil Emmanuel has just been awarded the order of Australia (Achievement and Merit in Service to Australia and Humanity). Even though each and every one of our guitars are gently weeping, we happily celebrate your musical life and immense contributions to the arts, we bid you farewell our friend, teacher and rock 'n' roll idol Mr Phil Emmanuel. 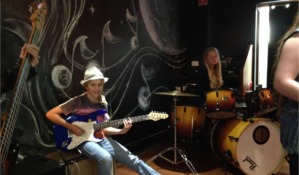 12 year old guitarist Lachlan Murray was among some of the country's finest performers to pay tribute to Phil Emmanuel on the 26th of June at the Condong Bowling Club. Lachlan played some Hendrix classics such as 'All Along The Watch Tower' and 'Foxy Lady'. Lachlan was then awarded the TCS encouragement award for his contributions to the night. The line-up for this tribute night included legendary rock star Normie Rowe, Living in the 70s band, Trombone Kellie Gang, Hubcap Stan and the Sidewalk Stompers and Phil Eizenberg's PPR Express. 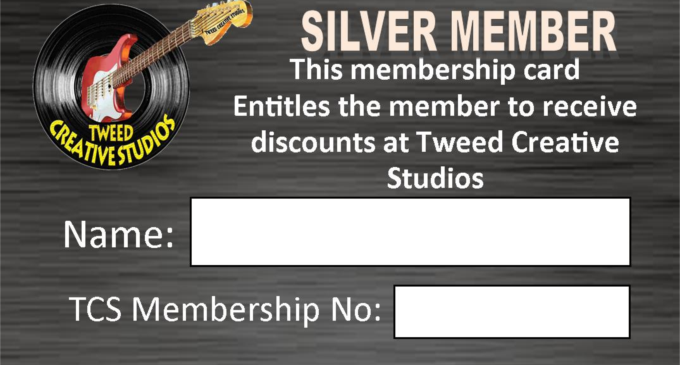 Have you got your ‘Silver Member Card’ yet? Come into the music store and say " I want a Silver Member Card please". S/h Peavey USA TKO 80 Watt Bass Amp $120 . Affordable rates and discounts for students. 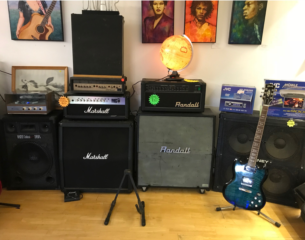 Fully decked out with P.A system, Aircon, full Drumkit, Loud Awesome Amps & Micro. 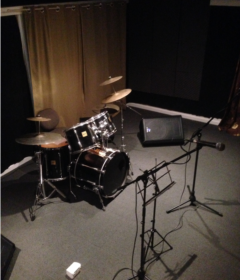 Call us to make a booking and get your band to make some seri0US SOUNDS. 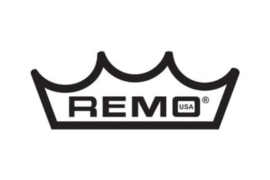 We stock and can order both Remp and Evans drumheads. 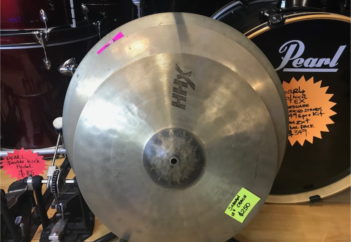 We also have an in-store drum tech from Sydney's 301 studios, who will service and re-skin your entire kit and tune with any drum head purchase. There are talks within the music teaching faculty and amongst our drummers especially, that there should be a drum competition held here at TCS. 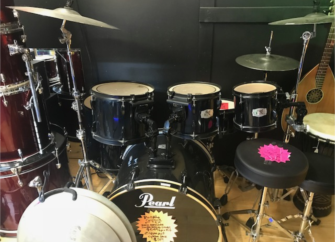 Well let those thoughts marinate for a bit and imagine that if you practiced all your drum exercises and rudiments for at least 1 to 8 hours a day…you could be competing for a brand new Drum kit, or some brand new Cymbals or even a new set of Double Kick Pedals. Please send us a email letting us know that you are keen to win some amazing prizes we have up for grabs in 2019. Contact us: If you liked any of our articles here or have suggestions on future articles and would like us to feature your band or a fresh new talent…please send us an email and we will surely have your ideas up for consideration and possibly publishing it in our next student letter due out in late August 2018.